New York City certainly has its fill of restaurants, from a diverse range of cultures and celebrity chefs, it seems like there’s another “it” place to visit every week. Still, it boasts a number of long-running institutions and during this visit, I wanted to dine at an old school red sauce Italian restaurant, somewhere that would even satisfy Tony Soprano. 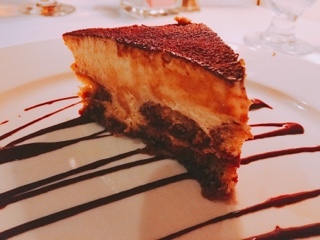 While most of the Italian American restaurants are in Queens and Brooklyn, Gene’s is located in Manhattan’s Greenwich Village, a manageable walk from our hotel. Started by Gene DeMichaelis in 1919, I was glad to see it hasn’t been updated much since the 50s - dim lighting, a quiet ambience, antique oil paintings, and staff wearing suits with short jackets - this was the restaurant I was looking for. 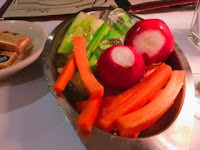 Each table even receives the traditional crudités on ice and bread basket that’s synonymous with old school fine-dining. The mammoth-sized radishes would be like eating an apple, but the celery and carrot sticks were surprisingly crunchy and satisfying. 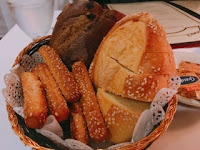 In preparation for the carbohydrates to come, I only had a bite from the bread basket, which turned out to be pumpernickel studded with raisins (sounds weird but actually rather delicious). 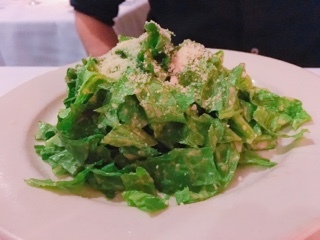 Although the Caesar salad ($13.95) isn’t made table-side, the dressing seems house-made. While you taste the garlic, the anchovy and Parmesan flavours are also pronounced, so despite the salad not being heavily dressed, it was full of flavour. 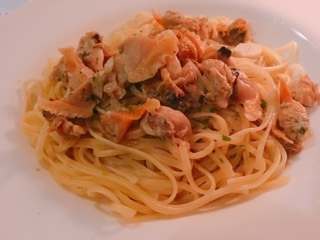 Their linguine in white clam sauce ($19.95) incorporates the clam juice, olive oil, and garlic base I look for with seafood pastas. On its own the broth was a tad salty, but with the al dente linguine the sauce was perfect. Moreover, the sweet clams were a larger variety and came removed from their shell and cut into larger chunks. It made eating the pasta a breeze and ensured it didn’t have any gritty bits from the clams. 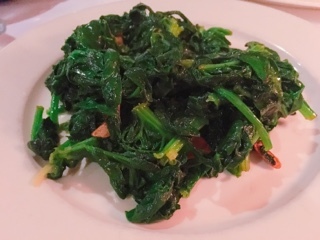 It was a delicious main and also paired nicely with the side of spinach aglio olio ($11.95), a hefty plate of greens stir fried with olive oil and garlic. 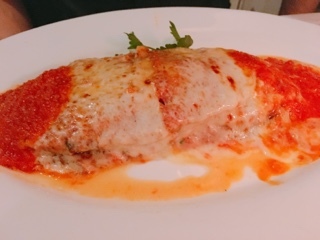 Gene’s eggplant parmigiana ($15.95) is constructed as layers of eggplant, sauce, and cheese so the dish ends up resembling a richer lasagna than the typical deep fried eggplant slices. It’s a big portion, but you can’t feel like it could still use some pasta. Accordingly, if paired with a plate as spaghetti marinara and shared with another person, it’d be even better. Unlike other places in New York where a cocktail will set you back $16, at Gene’s we found a reasonably priced bottle of merlot for $24 and their pour of Magellan 18 year old scotch ($32) must have been close to 3 ounces. Judging by the number of people seated around their bar, Gene’s seems to be a popular place for drinks and light snacks as well. Their tiramisu ($8.95; cake pictured below is a half order as they kindly split it) incorporates zabaglione, a luscious egg custard, with enough marsala wine for an adult zip of flavour. 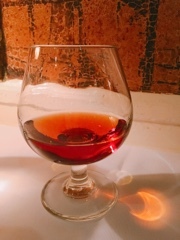 It helps balance out the sweetness of the mascarpone and ensures the tiramisu doesn’t just taste like espresso and unsweetened chocolate powder. While visiting a city, I always strive to try their local cuisine. In a diverse city like New York, this mandate may be difficult since their food combines so many worldly flavours. Nonetheless, their American take on Italian cuisine is probably some of the best in the city and is a stop on the culinary tour that shouldn’t be missed.